The digital advertisement of the upcoming phone show two smartphones crossing each other to make an ‘X’. It seems that HMD Global is on launching sphere these days as the company is reported to launch yet another Nokia-branded smartphone soon. The brand is reported to bring the Nokia X. 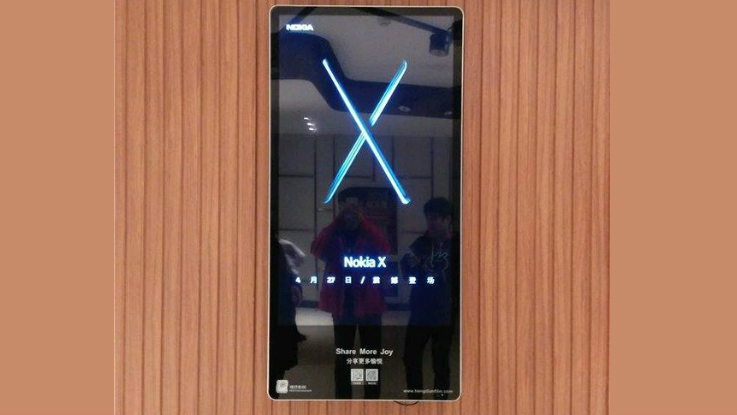 As per advertisement in China, the upcoming smartphone could be launched in China on April 27. As per a report by ITHome, digital advertisement of the upcoming phone show two smartphones crossing each other to make an ‘X’. The report further mentions that the smartphone could be a mid-ranger. With this, it seems that HMD Global might bring back the Nokia X, that launched in 2014. The older Nokia X was the first entry-level smartphone that runs on Android OS with Nokia X platform on top of it. However, the smartphone was a massive failure as it didn’t feature Google Play Store, among others making it not-so-smart-phone overall. However, little is known about the upcoming smartphone and it is not known whether HMD will launch it only for Asian market or it will be available for other markets as well. Meanwhile, HMD Global rolled out Android Oreo 8.1 update to its Nokia 7 Plus and Nokia 6 (2018) smartphones. Both the smartphones were recently launched in India with Android 8.0 Oreo operating system. The Nokia 7 Plus and Nokia 6 (2018) are priced at 25,999 and 16,999 respectively. As per the reports, the Nokia 7 Plus and Nokia 6 (2018) update is currently rolling out in India. It is now expected that the update will be rolled out in other markets in the next few days. The update for Nokia 7 Plus is 509MB in size while the Nokia 6 (2018) update is around 802 MB in size with firmware version v2.13B. It includes the April Android security update along with multiple changes as well. In order to check for the latest update, the user needs to go Settings > System > About Phone > System Update. Note: Lead Image is for representational purpose only!